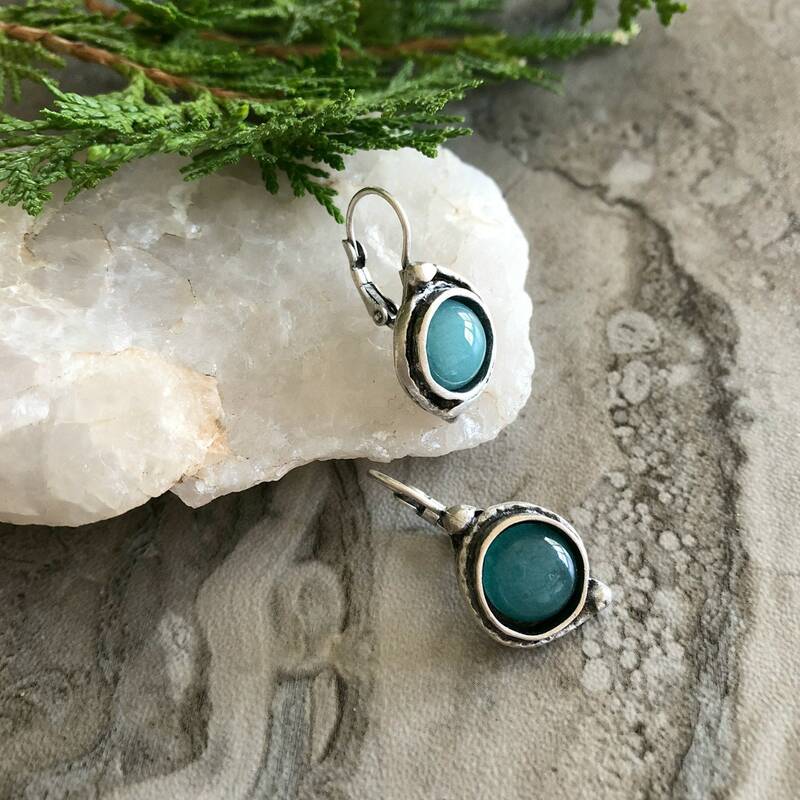 Earring Dangles | Beauty needs no ornamentation, as evidenced by this simple and minimalist jewelry. 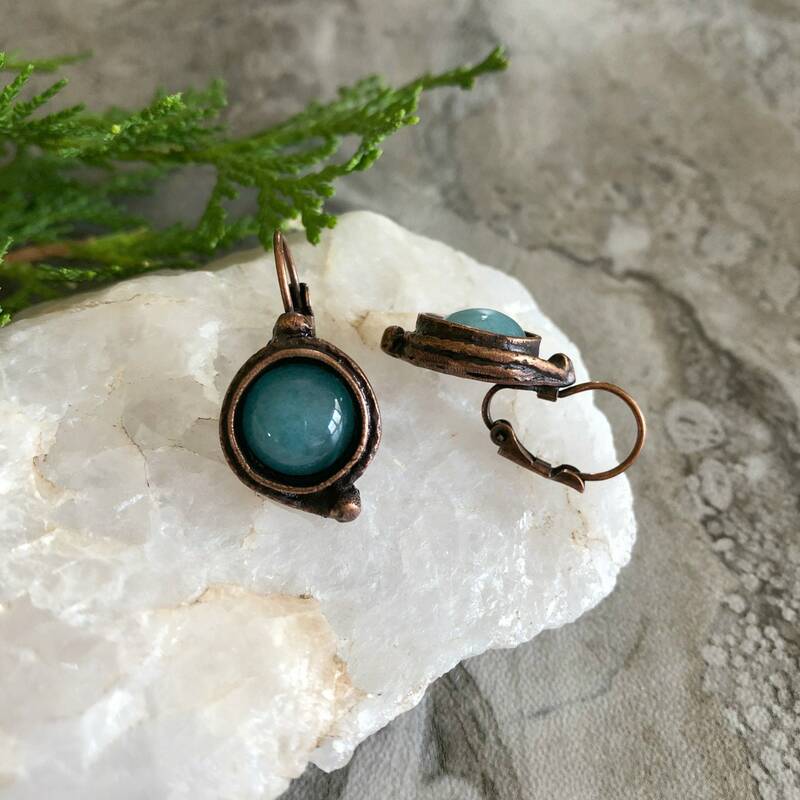 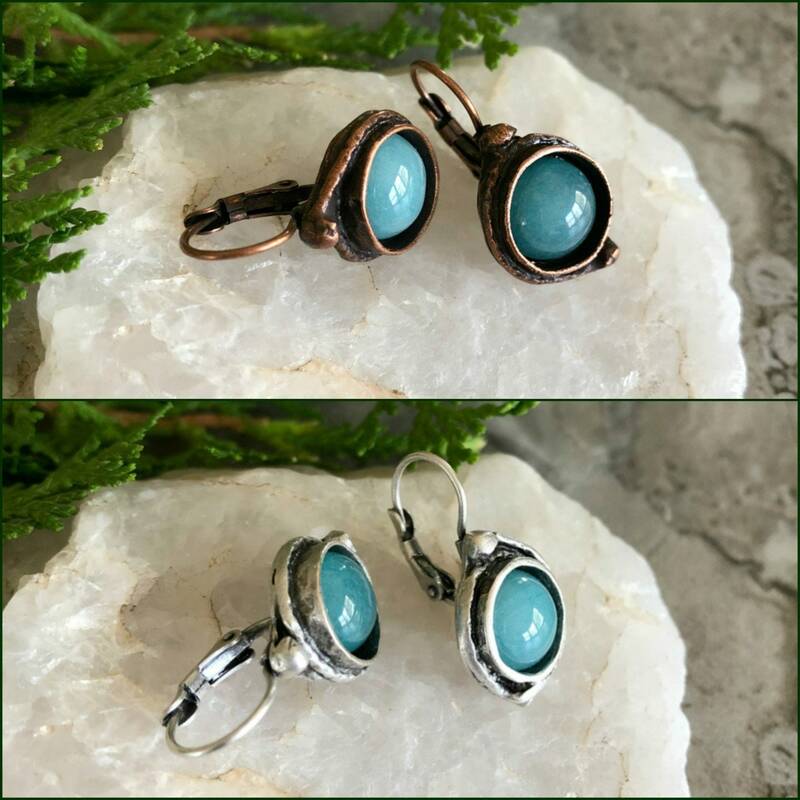 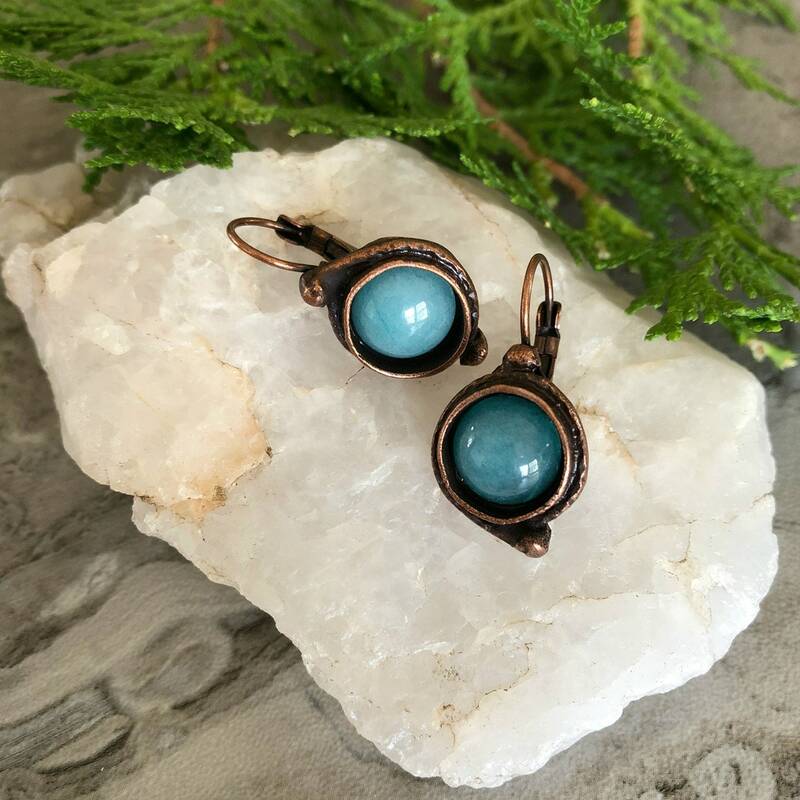 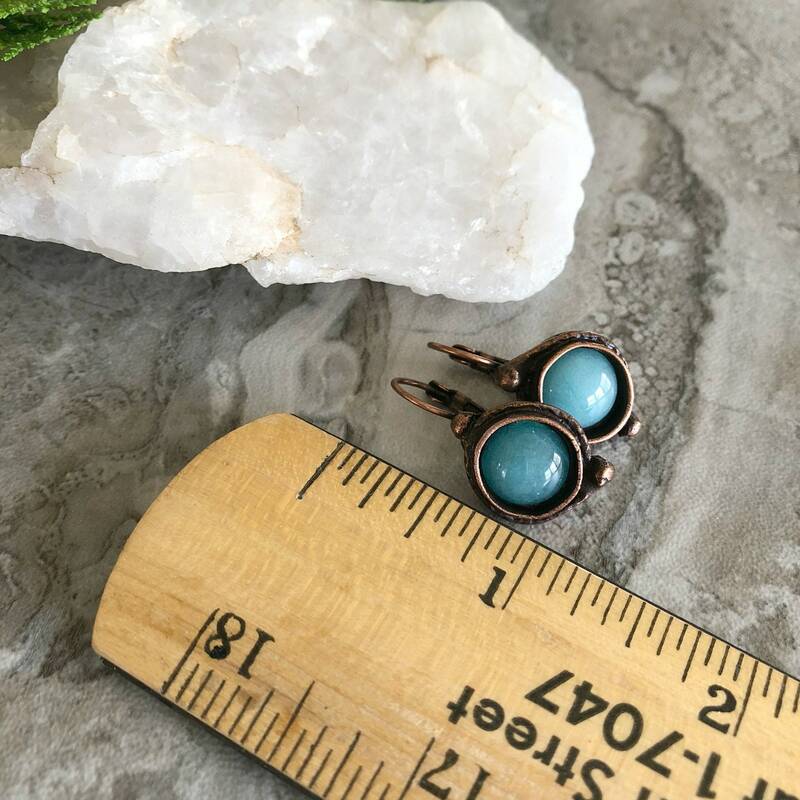 Feature sparkling round apatite gems, set in your choise of antique copper or silver bezels. 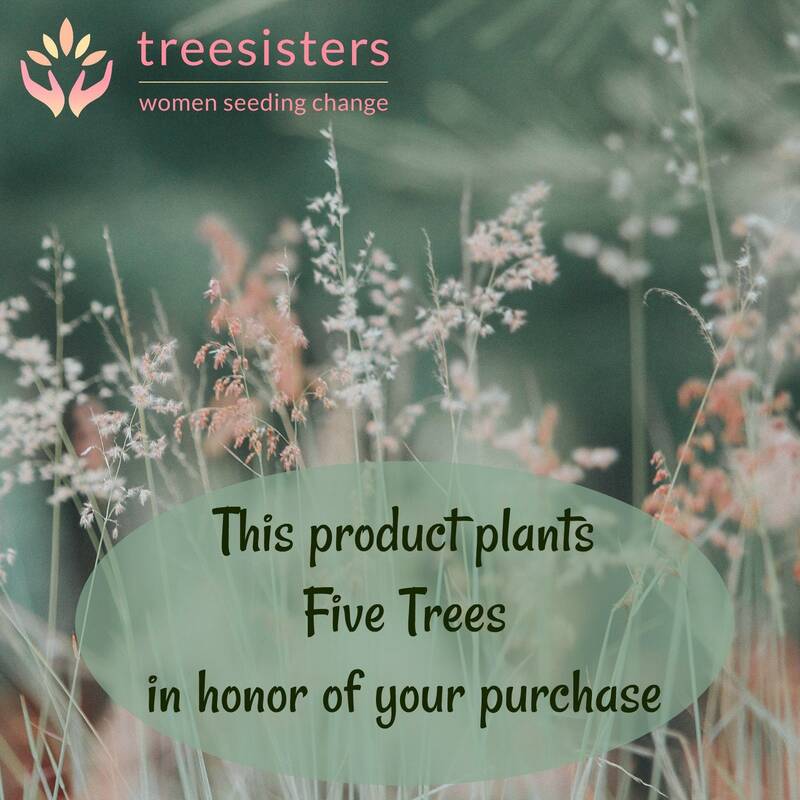 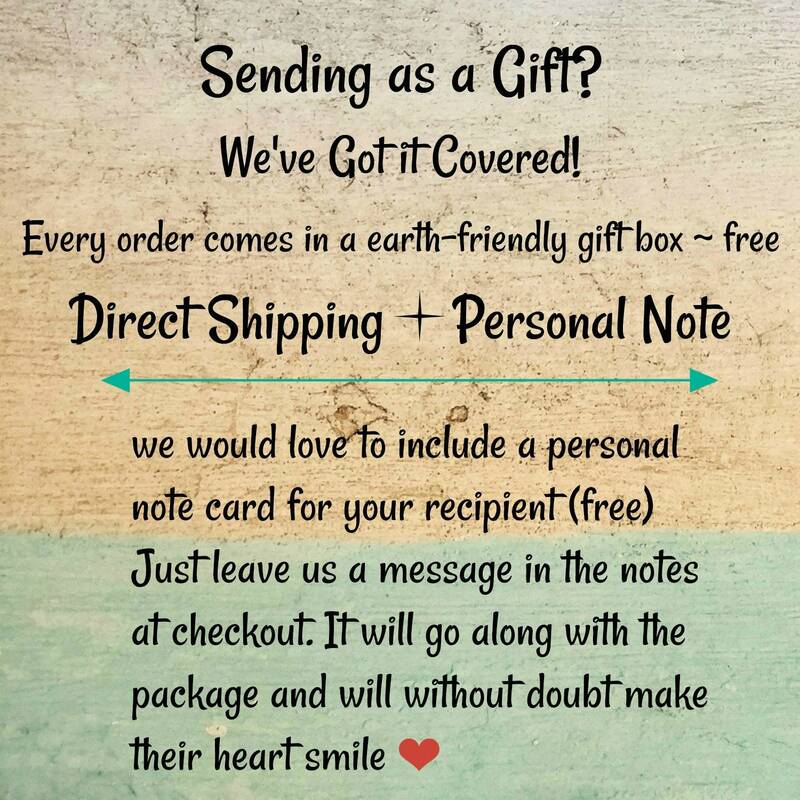 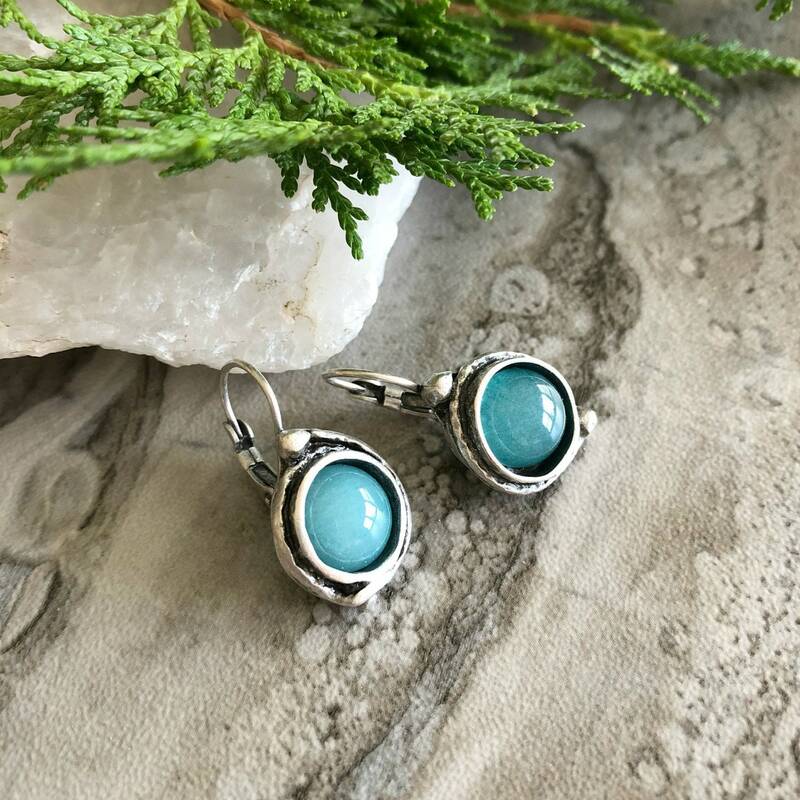 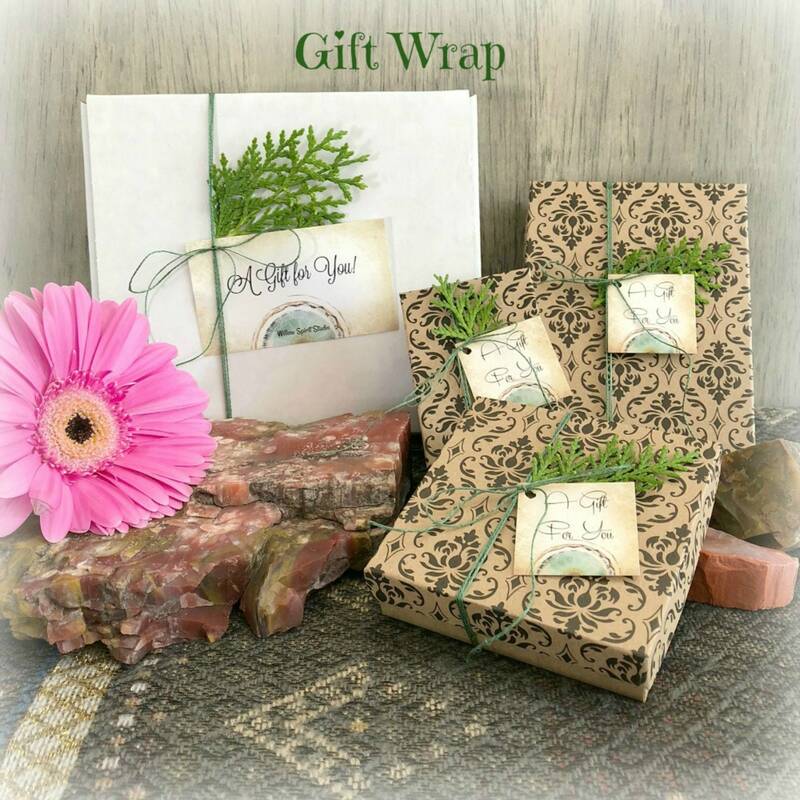 Beautiful stones-love the design-very comfortable and well made-always quick shipping, lovely packaging and wonderful customer service-thank you!